Teachers in England will need licences to work in the classroom which will have to be renewed every five years, under government plans. The proposal, intended to weed out weak teachers, is included in an education White Paper announced by Children's Secretary Ed Balls. There is also a guarantee of personalised tuition for all pupils who have fallen behind in English or maths. Mr Balls said there was a "moral imperative" to support every child. The children's secretary said the White Paper, Building a 21st Century Schools System, was based on three principles - "new guarantees for pupils and parents, a significant devolution of power to school leaders ... and an uncompromising approach to school improvement". The licence to teach, to be introduced for newly-qualified teachers from September 2010, is intended to "boost the status of the profession". Without a licence, teachers will be unable to teach - but Mr Balls said he did not have any indication of how many teachers would fail the five-yearly assessment, which will be carried out by head teachers. "It would be foolish to speculate about numbers," said Mr Balls. But he said the checks would make sure that schools were "facing up to inadequacy". Teachers' union leaders were divided over the plan. The proposals also included details of how the school report card, which gives parents information about how well schools are performing, will be introduced. 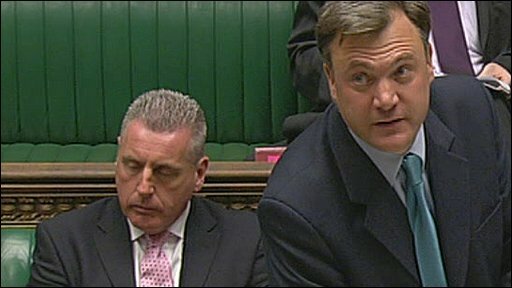 Ed Balls: "We will introduce a licence to teach, similar to other high status professions"
Mr Balls said that schools would be given a single grade - A to D - based on a series of measures ranging from test results and the social background of the intake, pupils' views, attendance and pupils' "well-being". These report cards, to be piloted from this autumn, will be published nationally for all England's schools - alongside the test result league tables. The White Paper also stresses the concept of parents' having legally-enforceable guarantees in school provision, such as the amount of sport available each week. Mr Balls said this would be similar to the way that school admissions codes had become statutory. Michael Gove: "The prime minister promised these things and failed to deliver"
Among the services that will become a legal right will be access to one-to-one and small group teaching for children who have failed to reach the expected levels in English and maths. The success of this scheme will be monitored by sampling the ability of these pupils in the first year of secondary school who have received the extra catch-up lessons. The White Paper also calls for high performing schools and education providers to take over their less successful neighbours, creating chains of schools with a shared "brand" identity. There will be a list of successful schools and organisations accredited to set up such chains - which would mean groups of primary and secondary schools with similar uniforms and brand names under a single executive head teacher. 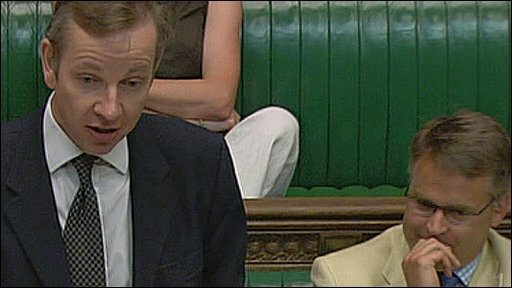 Shadow schools secretary Michael Gove said: "Ed Balls has refused to give teachers the powers they need to deal with violence and disruption, such as removing the restrictions on teachers removing disruptive pupils. "He rejected our plan to give teachers the power to search for banned items. He rejected our plan to let schools make parent contracts compulsory." Dismissing the proposals as "new gimmicks", he added: "Instead, he has opted for a one-to-one tuition programme that was ineffective - and over budget - when piloted, and a 'September Guarantee' for which the funding doesn't stack up." Mr Balls also announced that his department was going to intervene to improve children's services in Milton Keynes. He also spoke of concerns over progress in Leicester, Gloucestershire and Blackpool.